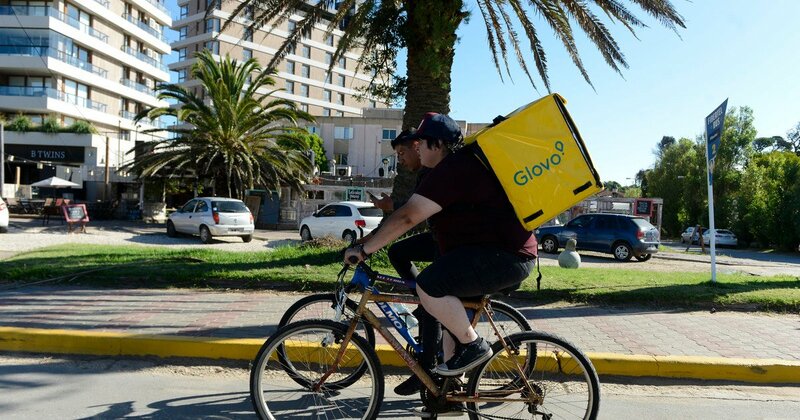 Glovo users, mobile apps for ordering and delivering food and small products, reported on social networking abnormalities in their accounts, which involved blocking their profiles and spending associated with their bank accounts located in Egypt. The company replied that these were isolated cases and that it was caused by password theft on other platforms. As Glovo users from Argentina, Peru and Spain said during the weekend, it all started when they saw it his accounts were blocked by changing the password; after they resumed, they saw that their usernames, their location and the language selected in the app changed. Some have found themselves shopping in Egypt, and received emails with invoices for those purchases that were calculated on bank accounts. "Today, I hacked my @Glovo_ar account, made two orders in Egypt, and since I activated the alert, I was able to immediately cancel their notifications, changed my cell phone number so they could ask," she told Twitter on a graphic designer's account called @Amaranta, which recommended Glovo users to verify their consumption and "opt-out payment methods". Spanish Luis Herreras has received 14 emails from Glovo with invoices, and has found his password changed when trying to enter the application: "When I got my account, I found out what I called" Ahmed "and had a number with an Egyptian prefix," @ yuiso on Twitter said from his account. "Glovo wants to record that these are isolated cases and that unauthorized use is not caused by a security breach in Glovo; in all cases being analyzed, accounts that use the same username and password on other platforms and whose credentials were obtained by third parties violate the safety of other platforms, "the company said in a statement. Glovo, born in Spain, is part of the so-called "Collaborating Economy," which has similar activities to Uber, but in the field of home delivery and promises to distribute food, medicine or other small objects up to 40 x 40 cm. In recent days, some platform users have informed Glovo about the identification of purchases made in their accounts by third parties without their consent. Glovo wants to record that these are isolated cases and that unauthorized use is not caused by a security breach in Glovo. All of the cases analyzed are accounts that use the same username and password on other platforms and whose credentials could be obtained by third parties, which violates the security of other platforms. Glovo has activated all the necessary security protocols to ensure the security of accounts that can be affected and wants users to recall the importance of using different passwords on each platform. Glovo also wants to ensure that all disabled users are paid. Finally, Glovo wants to guarantee that private information about bankers and / or credit cards of their users can not be jeopardized because Glovo does not store this information and works with leading payment management platforms.